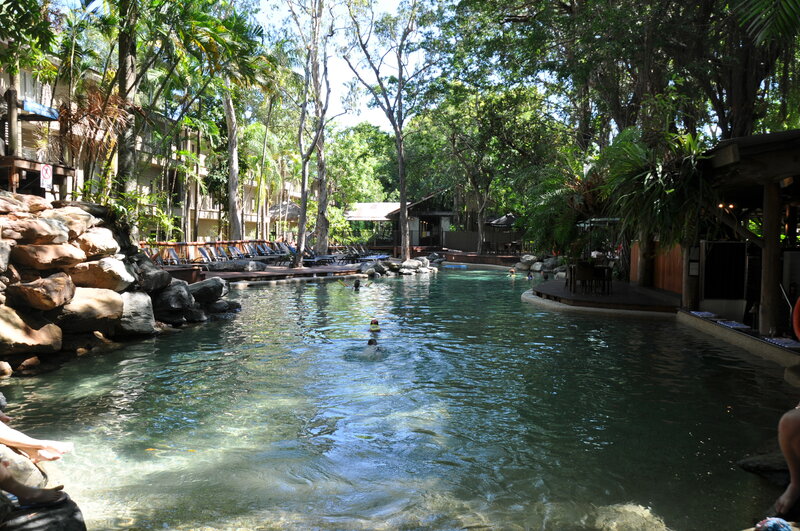 A visit to Queensland’s tropical north city of Port Douglas is an absolute “must do” if you have never been there, or better still if you are returning once again to enjoy all its beauty and splendours because it is one of the world’s most diverse holiday destinations. I must admit that as we were driving along Port Douglas Road just a few kilometres from the town centre I thought I was back in Sarawak, Borneo with all the beautiful jungle greenery and overhanging Curtain Fig Trees. The multiple resorts, villas and superb Golf Course as you approach the town gives a very good indication of what will be coming up, and then driving along Macrossan Street through the main shopping centre gives you outstanding views of multiple and different shops, restaurants and more accommodation resorts – and street car parking is free! 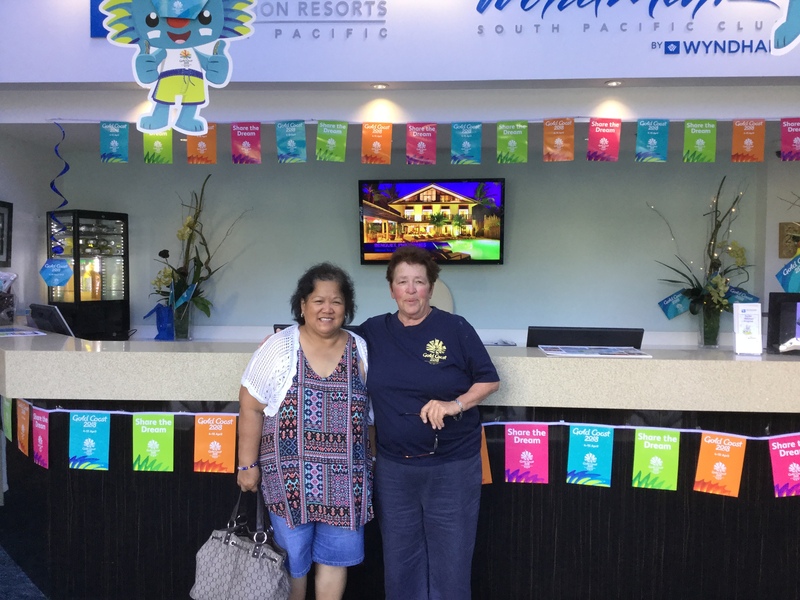 Our accommodation at the Ramada Resort Port Douglas using our Wyndham credits for my 74th birthday celebration was just wonderful and the staff friendliness and helpfulness from arrival to departure and all through our eight-day stay were the finest and most helpful ever. This included taking our luggage to our room – and not forgetting the bottle of wine on arrival and more throughout our stay. 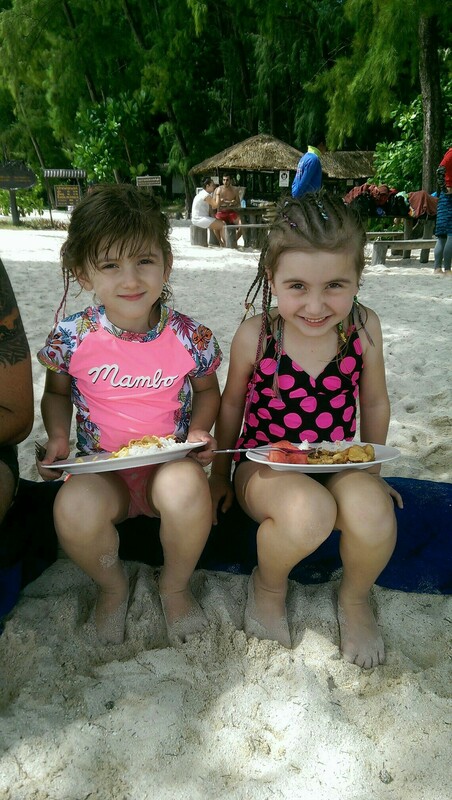 Although the resort is a little older in a few ways, its advantages of beauty and facilities are wonderful, which include the most beautiful swimming pool area overshadowed by amazing trees and sitting on the very edge of the outdoor food area. Here you can order from the pool for your drinks etc, or at anytime roll up for a wonderful breakfast, lunch or dinner and the menus are delicious. The complete resort area is just covered in greenery so it’s more like staying in a tropical rainforest. Want a walk to the beach? Well what about a short stroll out the back entrance of the resort to the 4-mile beach where you can walk, swim or just relax on the sand and unwind – lets face it you are in ‘PPPD’ – Picture Perfect Port Douglas. Your drive into town must include a stop off at ANZAC Park and Rex Smeal Park before driving up Island Point Road to the lookout overlooking Four Mile Beach is next, but one of the very best stop-off spots is the Reef Marina where there are literally hundreds of small, large and extremely large sailing and motor vessels which sail into the Coral Sea to visit the Great Barrier Reef Islands such as the Low Isles just 15 minutes away. But what about an enchanting river cruise? So off we went on our first “must do” boating trips all aboard the Lady Douglas River Cruise. 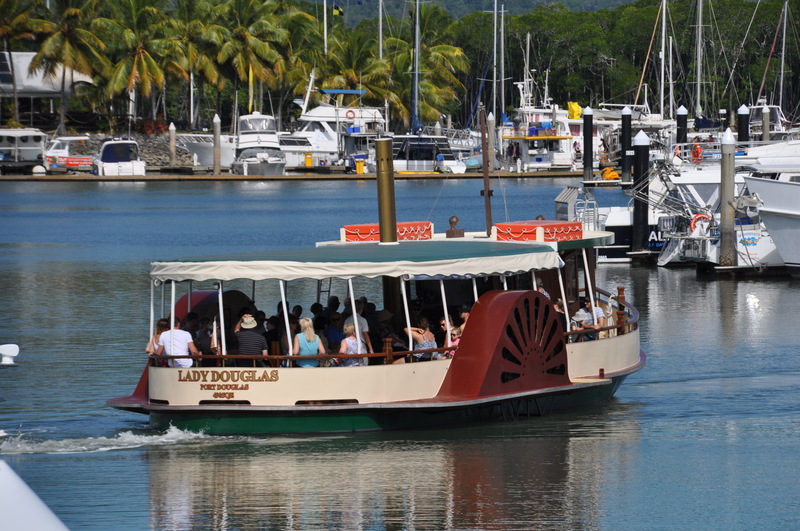 This is a relaxing and comfortable trip from the marina with complementary beverages and nibbles on-board an historical older “paddle steamer” style of boat. 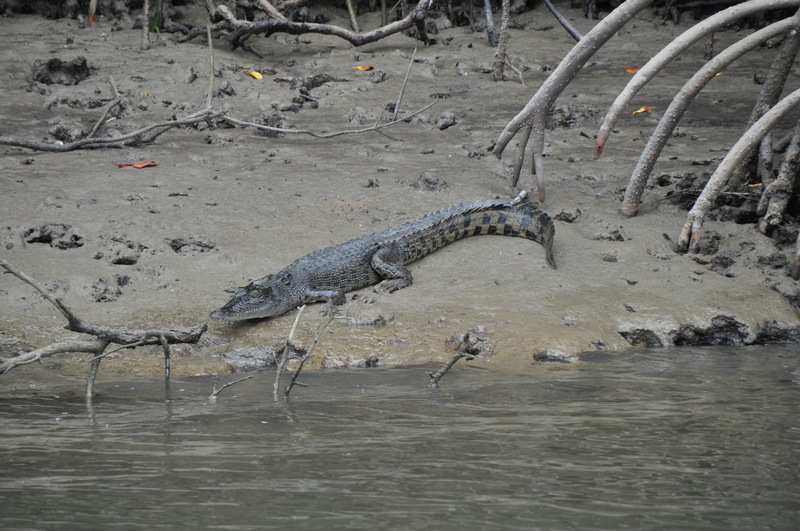 The skipper gave a very informative and entertaining commentary as we chugged along the calm waters and inlets to view multiple vessels, a few very older shipwrecks, wildlife, birdlife and of course keeping a lookout for those salt water crocodiles just resting on the banks. The next “must do” event we did was a ride on the Ballyhooley Steam Railway. 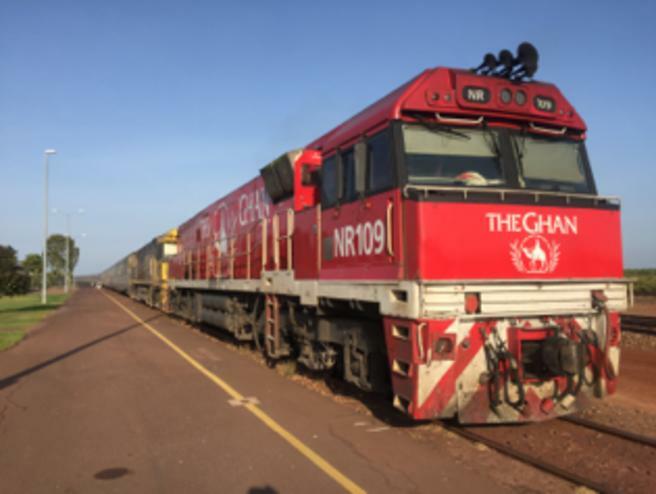 This is a very different and short railway trip on an old Sugar Cane track – onboard an open style set of carriages and pulled by either an old steam train or diesel locomotive. 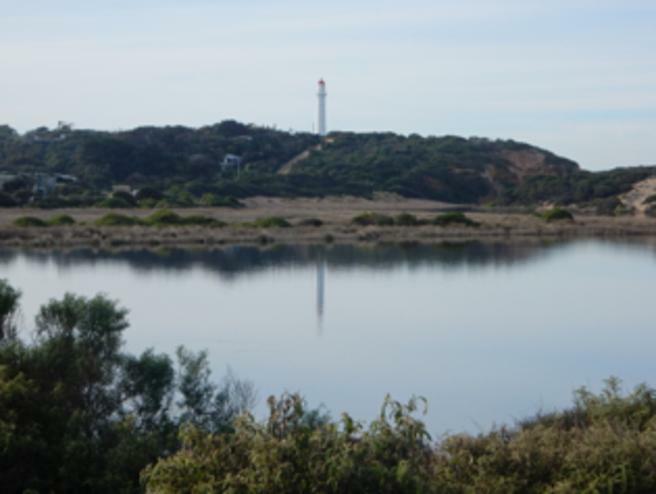 It’s a leisurely return trip and fully commentated from the Crystalbrook Superyacht Marina Station to St Crispins Station, taking around 30 minutes each way. The stop off is at St Crispins Station and Choo Choos Café where you can enjoy a refreshing drink or take lunch while the train is turned around in preparation for returning to the city. The beauty of this trip is that you can board at either end and take your time enjoying lunch and the scenery. 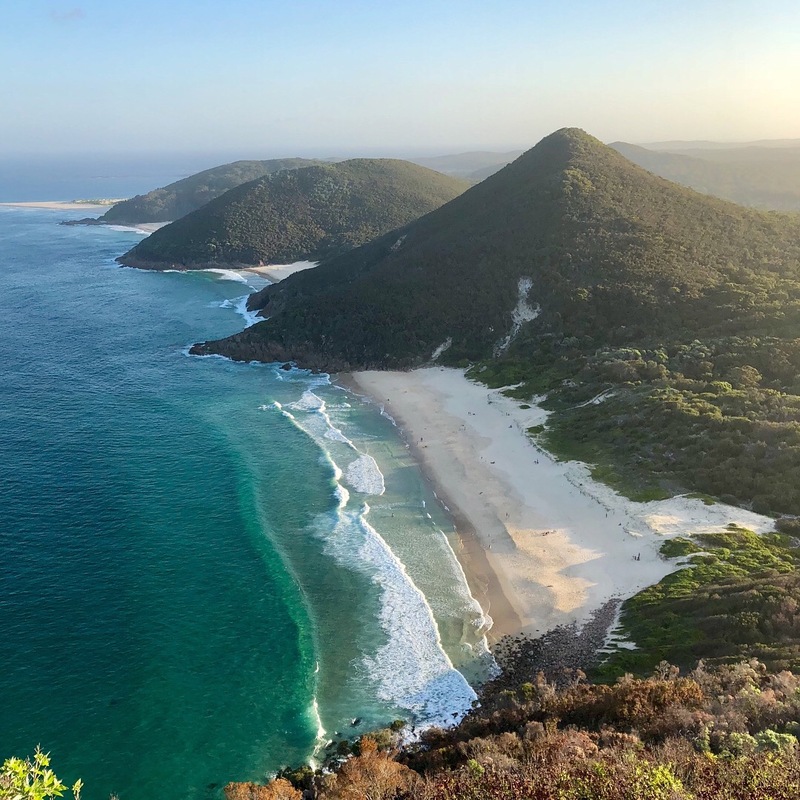 One of the nicest way to get to this picture-perfect location is to fly into Cairns and then drive north up the Great Barrier Reef Drive with the rainforests on one side and the sparkling outstanding beach and Coral Sea coastal views on the other. The road is extremely winding in parts so follow the speed limits with care, but it only takes an hour. Further wonderful places we visited included a short 20-minute drive to Mossman and the Mossman George with its beautiful walks and views and the suspension bridge right on the edge of the flourishing rainforests of the Daintree National Park area. And of course, on your return towards Cairns you must visit Kuranda, either by taking the enchanting Skyrail to the top, or simply driving to the town centre. A visit to the Kuranda Scenic Railway Station is another experience in this boutique village with its easy going friendly atmosphere of craft stores, markets, quaint shops, cafes, artists and wildlife sanctuaries – you will want to stay longer. Our 39th holiday in Fiji. 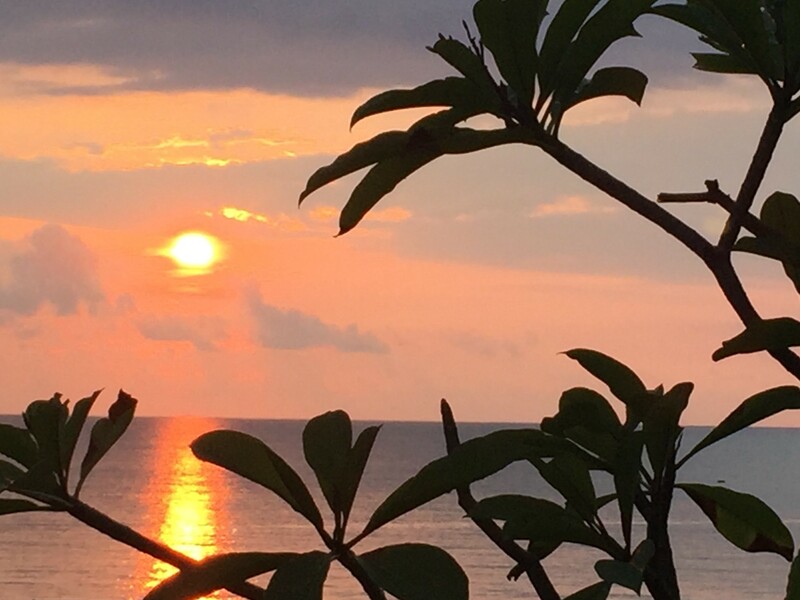 We were walking the beach on our last evening on the 7th of January 2018 and saw this stunning sunset at our favorite place in the world, Wyndham Resort Denarau Island. I just had to put my photography skills in to action. My wife loves it so much we are having it framed. We, Pushpa & Chandrika are owners for more than 15 years. We started with basic package from Parramatta, NSW, Australia. We had to use our credit wisely to manage our holidays in the early days. 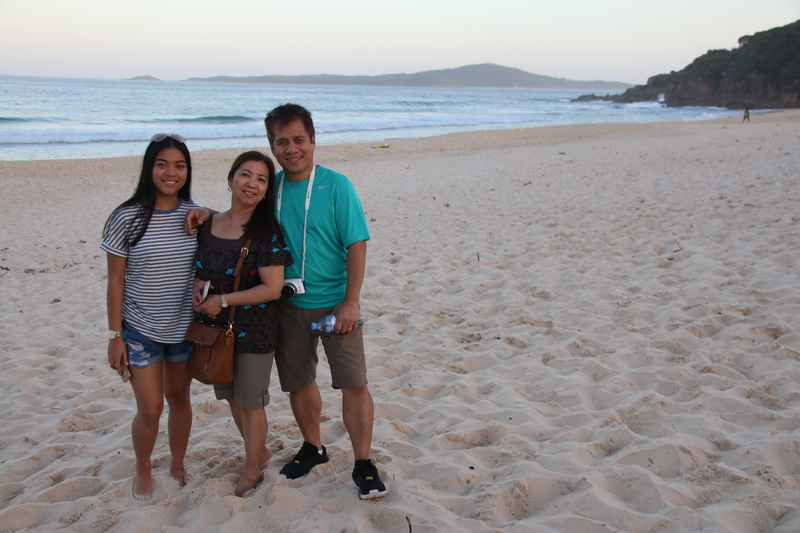 As the time passed we had updated our credits to Privileges Elite level in last year at Port Macquarie. Since then we had numerous holidays had in different places. 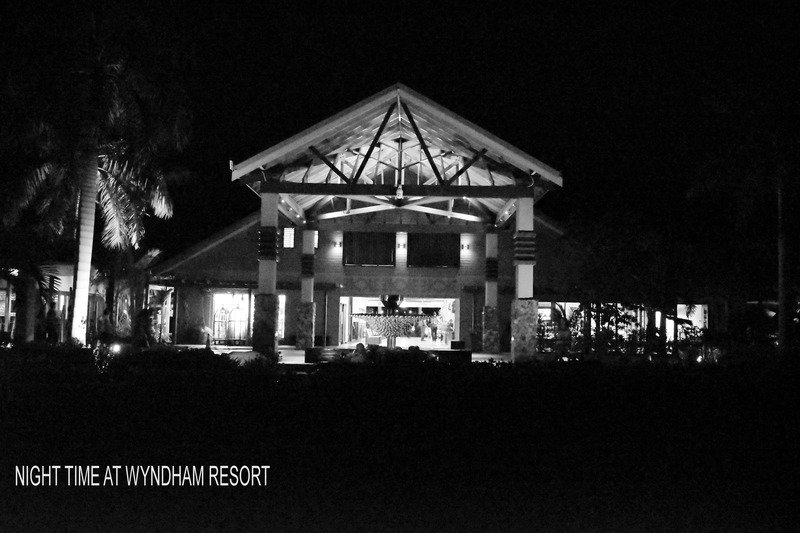 Wyndham Resort Denarau Island in Fiji was the last one we had. With our checked in time we experienced the very friendly, helpful staff with happy smile all the time. One thing we noticed was their willingness to help us any time. Apart of the assistance, the resort offered us much anticipated relaxing environment with fantastic activities through-out the day. We shouldn’t forget to mention the variety of foods they offer to the guests. There are many restaurants to choose with live bands playing in the afternoon. 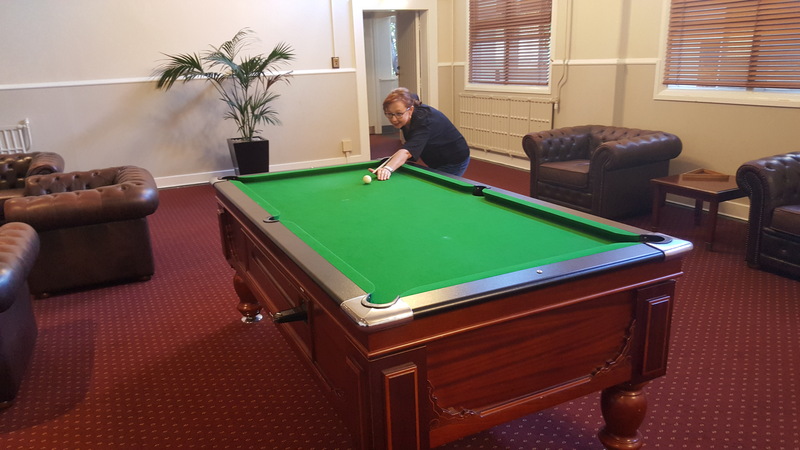 Even we didn’t want to use the facility, we have noticed closely the child minding service provided by the Wyndham. It is much helpful for the young parents to have much more required relaxation during their holiday. Not only that, the children also actively participated on some daily courses conducted by trained staff. We have now come to the last night of our stay at Denarau Island. This is our first visit here but certainly not the last. 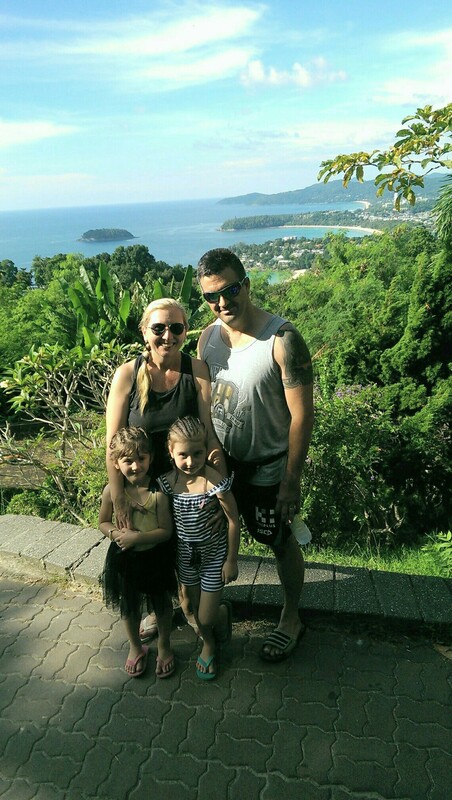 It is highly recommended our fellow owners to spend some time at this resort. You will find you had paid off for your money. 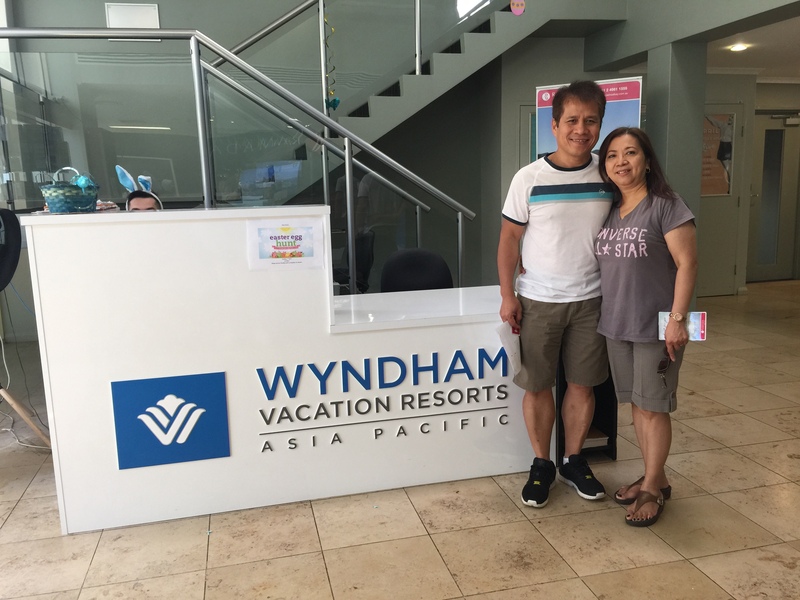 In early 2017 I decided to use my Wyndham South Pacific Club by Wyndham Membership to book a 3 week Southern California holiday – all planned around WorldMark Resorts in the region. I chose the month of November for the trip as the weather would be cooler at that time of year and I wanted to explore both coastal and desert regions. I’ve been to California before and experienced the popular attractions of LA, San Francisco and the northern parts of this state, and I am a regular visitor to the Pacific North West, so the Pacific South West or “SoCal” trip was going to be a little different for me and my traveling companion. 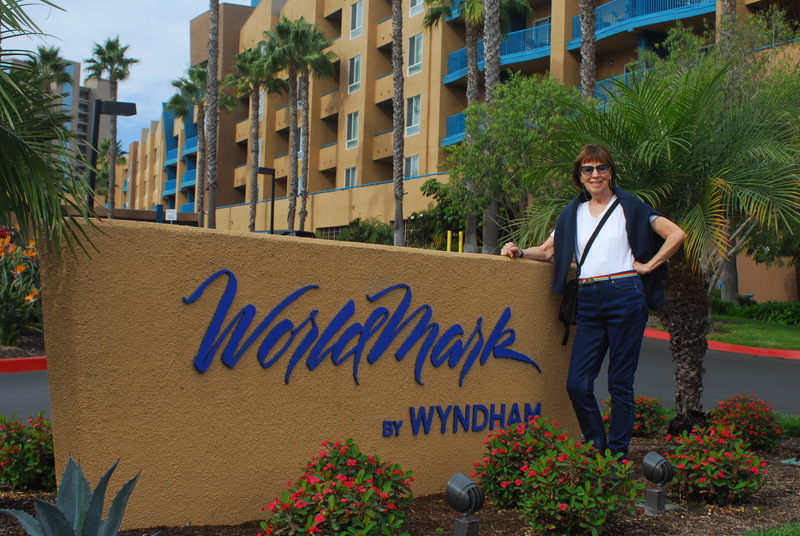 It was a 3 week trip taking in the regions around 5 WorldMark Resorts – San Diego, Oceanside, Indio, Palm Springs and Solvang. We booked a hire car after the first 5 nights at the WorldMark Balboa Park hotel in San Diego. You don’t need a car in a big city – too many parking issues. We flew into LAX with a connection to San Diego. Getting from San Diego airport to the WorldMark Balboa Park Hotel was a breeze – just jump on a public bus right at the airport and for a couple of dollars the bus drops you just two blocks away from the hotel. It’s only a 15 minute journey. You need to plan these ground transport connections – particularly after a 13 hour flight! What a great city San Diego is. 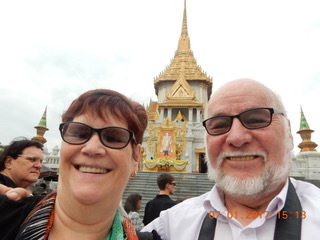 Easy to get around and lots to see. The architecture in San Diego is just superb – strong Latin American/Spanish influence coupled with innovative American designs. 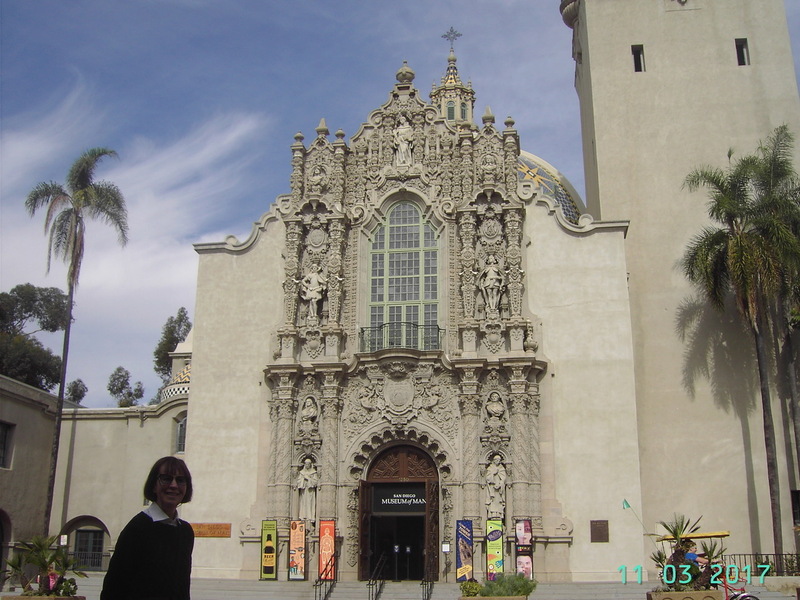 Balboa Park, just north of the city, and within easy walking distance of the hotel is a precinct of museums, art, architectural masterpieces, gardens and places to eat (of course – it’s America!). 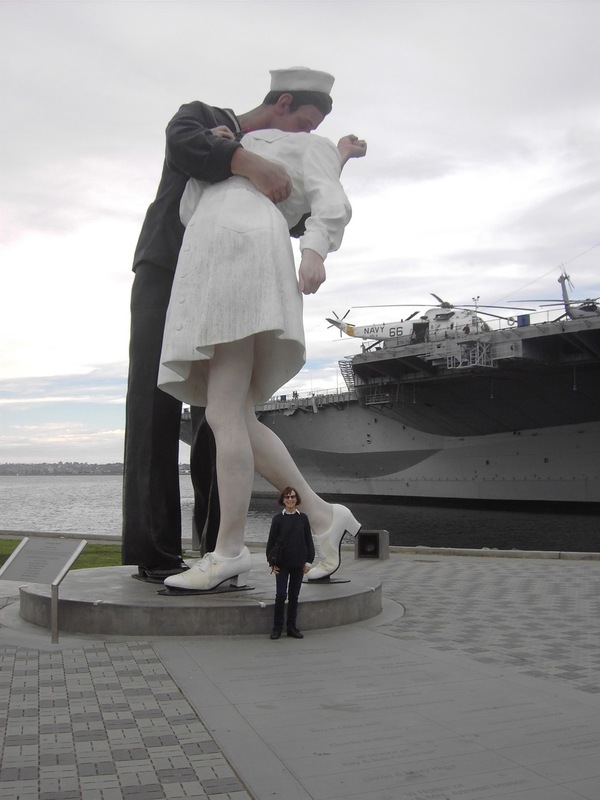 We just loved the place and had a busy time seeing the sights – the Maritime Museum, the USS Midway aircraft carrier, the new city library (worth a visit), the marina precinct with the towering “The Kiss” statue (depicting a sailor embracing a nurse when WWII ended) and the Bob Hope memorial. After we finished our 5 nights in San Diego we drove north on the I-101 to experience the California “Surf” strip (beaches). We stayed at WorldMark Oceanside for 3 nights. Oceanside has the longest pier on the coast and an iconic beach, marina and downtown atmosphere that you can only experience on a surf beach in California. Upon leaving Oceanside we turned East and ventured into the desert where we had apartments booked at Indio and then in Palm Springs – just 30 miles up the highway from Indio. Indio and Palm Springs sit out East in the desert. They were carved out of desert “nothing” using water from the Colorado (river). A very interesting region to explore. It’s all flat land (desert) with mountains on both sides of the valley and highways and freeways connecting the towns that survive on water channels, wind farms (electricity generation), solar energy and miles of agricultural produce. 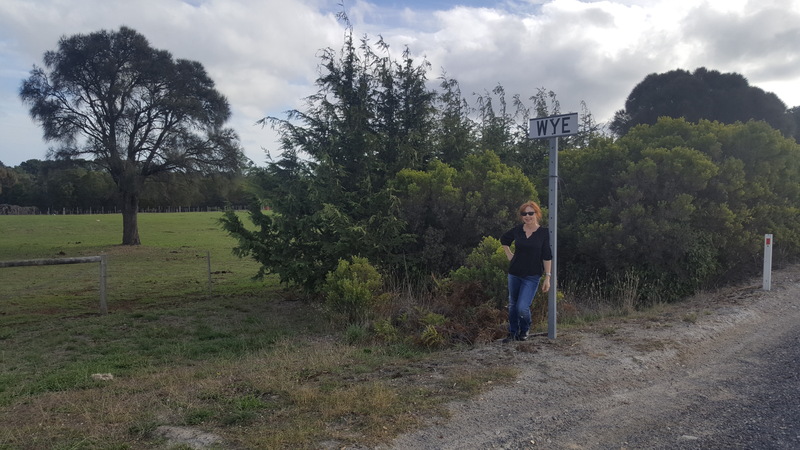 One of my favourite stops was the date farm. We just had to try a “date smoothie” for lunch one day – really a meal on its own. 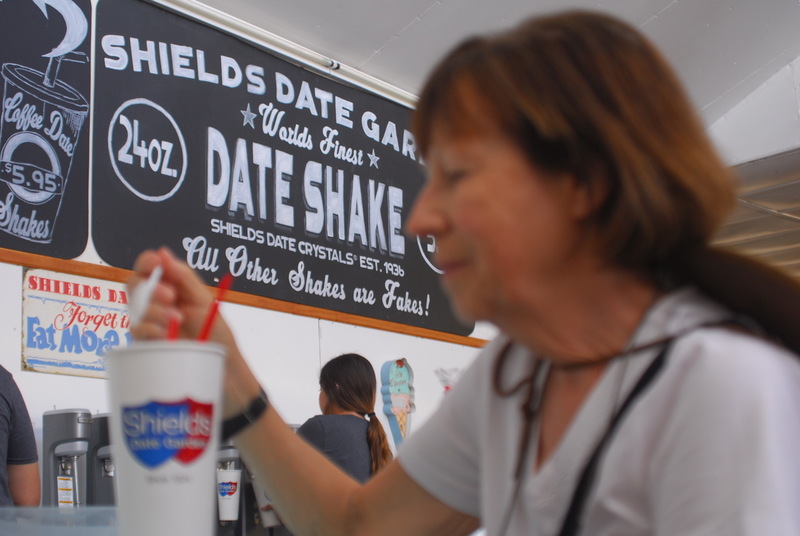 Dates, milk, ice-cream and some other concoction the people at Shield’s Date Farm put into the mix. 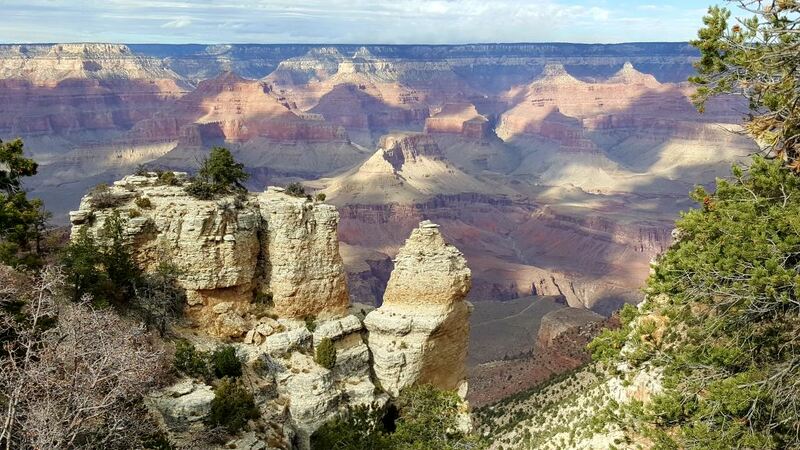 There are lots of State & National parks in the desert area – a good opportunity to do some trekking. After Palm Springs we drove north and back towards the coast to a Danish town called Solvang. It’s about 150 mile (240kms) north of LA and nestled in the very picturesque Ynez Valley. The village of Solvang was established over 100 years ago by Danish immigrants. I found the history of the town and its quaint Danish buildings just fascinating while my companion couldn’t get enough of Dr Virgil Elings motorcycle museum and the collection of machines going back to the early 1900s up to a 1995 ultra-modern carbon fibre model built in New Zealand of all places. The Danish Elverhoj museum is just up the street from the magnificent Worldmark resort that is positioned right in the downtown village. Naturally the resort was built in Danish architecture style – to blend in with the other buildings in the district. From Solvang we drove down to Santa Barbara and took the I-405 freeway back to LAX bound for home. 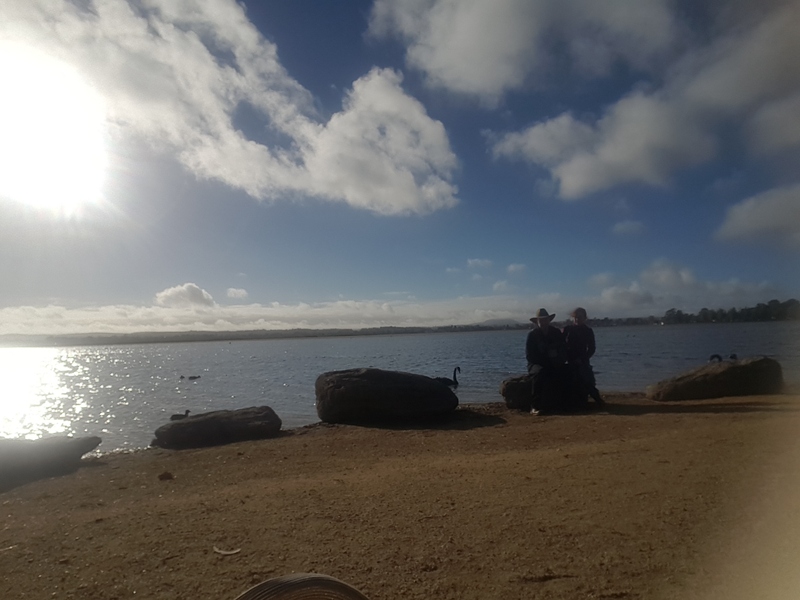 We stayed at 5 magnificent Worldmark resorts over this trip – ranging from very old converted hotels (The Riviera Apartment Hotel of 1927 in San Diego) to ultra-modern resorts with their own lakes and water-features, swimming pools, wildlife and BBQ areas. 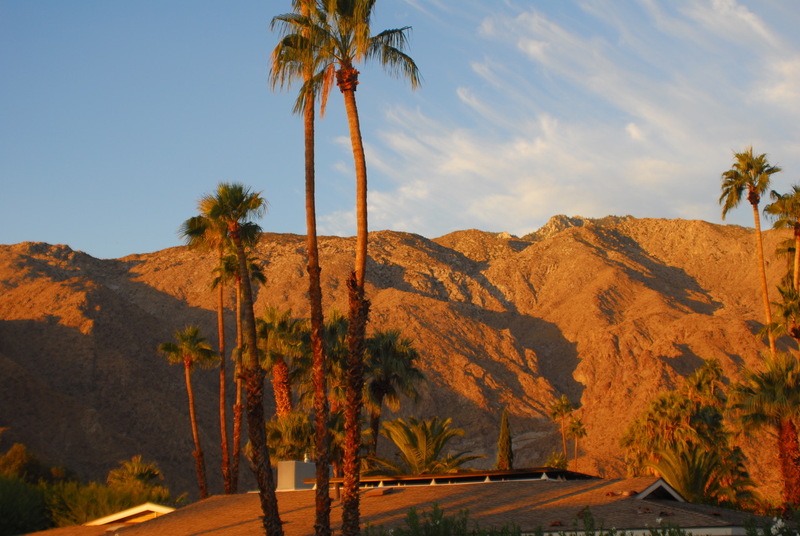 The Indio resort is like something out of a Hollywood film set – unbelievable. It also has “Roadrunner” birds in the driveways and carpark (yes there is such a bird) plus ducks and Canada geese on the lagoon and waterways that meander through the resort grounds. Over the trip we did a lot of walking – both around the cities but mainly in the parks and on Indian reservations. 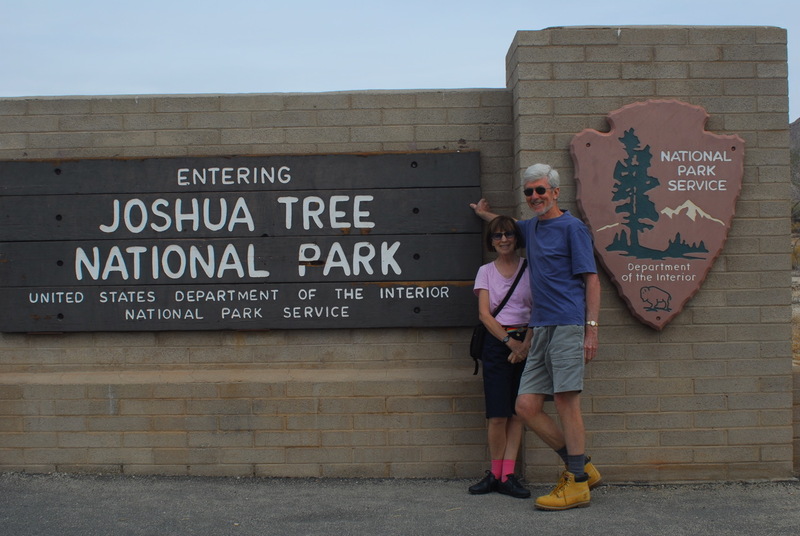 From Indio we did a day trip into the Joshua Tree Park – a magnificent slice of wilderness that would take you years to explore all the hiking tracks. While at Palm Springs we ventured up the mountain in the tramcar from the 2,500ft base station to the top of Mt Jacinto (8,500ft) where there is a State Park and 50 miles of walking tracks. From the mountain-top tramcar station you can see the entire Coachella Valley and the San Andreas Fault. And in Solvang we did some exploring in the Cachuma Lake area and were lucky enough to spot a pair of bobcats in a field near the Nojoqui Falls Park. Bobcats are quite rare to see and very wary of people. The weather was just perfect for the entire trip – mid-20s and sunny and we clocked up 1,000mile (1,600kms) in the rental car. 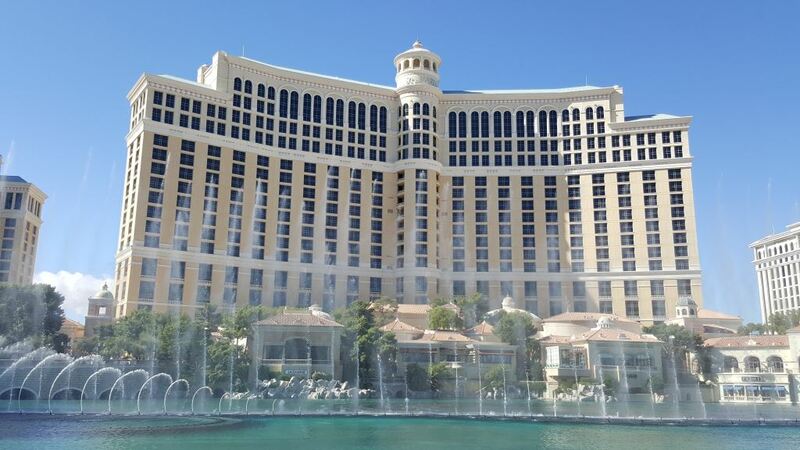 A very memorable trip – all made possible through my Worldmark membership.